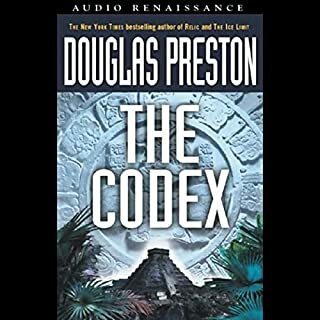 Wyman Ford is tapped for a secret expedition to Cambodia to locate the source of strangely beautiful gemstones that do not appear to be of this world. A brilliant meteor lights up the Maine coast and two young women borrow a boat and set out for a distant island to find the impact crater. High resolution NASA images reveal an unnatural feature hidden in the depths of a crater on Mars and it appears to have been activated. Sixty hours and counting. A real interesting thriller set around a sci-fi scene. I really like these kind of books...everyday people discover something that would be unlikely, or impossible to us. Then we see how they deal with it. OK, these characters are a bit over the top, but it still works. OK, it's vulgar at times, but it still works. I really liked how this book evolved..slowly revealing different truths. If some raw cursing doesn't offend you, you won't be disappointed. Terribly written and terribly read. This is the first book I purchased that I COULDN'T finish. Aweful plot line with unnecessary foul language and teenage girls that don't exsist in any civilization anywhere. Simply stupid. 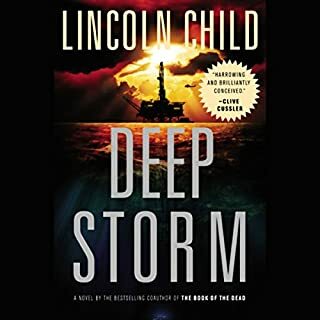 I'm right in line with other reviews: it's a moderately silly story that causes numerous rolling of the eyes, but it's a fast paced read that was very entertaining (sort of like the submarine action film Crimson Tide). It killed my commute with ease and didn't ask too much attention to keep track of events. Scott Sowers does a *fantastic* job as a narrator. To sum up this book in one word... Meh. The book was fast pasted but did not move me. The language did not bother me. What 18 year old witnissing the event of her lifetime does not drop the F bomb. There was a lot of time spent building up to this final show down and it never happened. It was like he wrote the ending in one afternoon. Be sure to listen to the epilog it adds some much needed answers to the ending and should have been part of the ending. OK book, but not the block buster I had anticipated. Save for a rainy day, or if you have an extra credit you need to use up. 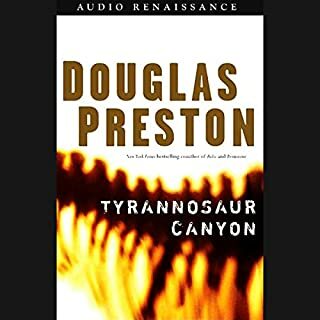 I've really enjoyed many of Douglas Preston's works but I have to say that this one left me wanting. The character development is poor and frankly the story line is weak to the point of being laughable and it gets progressively worse at the book progresses. As other reviwers mentioned it seems as if the author tried to wrap-up the story quickly without a clear idea as to how to finish it. 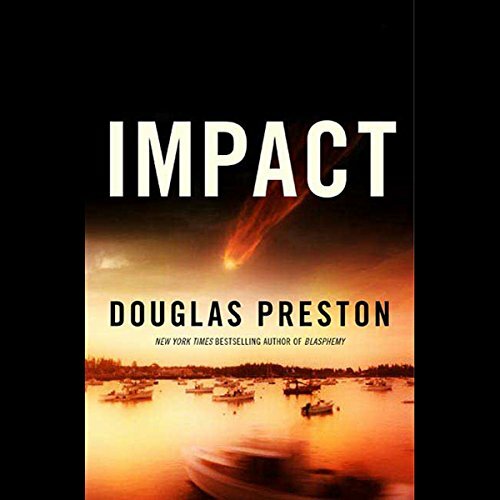 Preston is often compared to Michael Crichton and there is indeed a strong resemblance, but Impact does not strike me as a Crichton novel. It has all the elements but it is missing something. First of all, much of the novel is unnecessary. Preston's attempt to achieve a dense plot made me feel like I was just wading through muck to get to the end. For example, Preston adds complications just so they can be overcome. Randall Worth's character is completely unnecessary. The same goes for Wyman Ford's romp in Cambodia. The setting is beautifully rendered, but what was it all for? To find the crater? Crichton would have flown us in on a helicopter to find the crater, skipping the unnecessary melodrama involving the Khmer Rouge. Ford's ultimate decision while at the site, and his escape from the Khmer Rouge, are both stupid and absurd. No CIA agent would make such a dumb decision and neither would he have escaped with his life. While the science in Impact was interesting, there wasn't enough of it. It only barely held my interest as we ran from an assassin, trapsed around in Cambodia, and spent chapter after chapter on choppy seas reading descriptions of every damn wave. I wanted to hear about the machine, aliens, and the implications of such things. And when we did hear about these things, it was hurried and unsatisfying. And the final unveiling of the villain was so absurd it almost had me laughing: "Really? All of this trouble caused by this guy? for this reason?" Overall, Impact just didn't do it for me. It was too much spy fiction and too little creativity or intellect. I love the Preston/Child books. I am especially a big fan of the Agent Pendergast series(Relic, Cemetery Dance, Dance of the Dead, etc. ); so getting this was not a great leap of faith. I knew it would be well worth the credit. I was not disappointed. It took off at light speed and never let up. 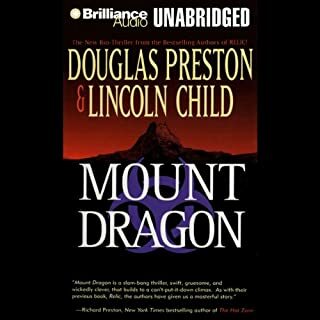 If you are a fan of thrillers with a supernatural/paranormal twist, any of Mr. Preston's (or Lincoln Child's) books are great reads. This is not the book the title suggests. It is a fast paced thriller that starts in a New England fishing village with a teen looking for a meteorite and jumps to the jungles of Cambodia with seemingly unconnected stories. The author brings it together nicely though with a very unusual plot line. I did not mind the language and to tell the truth did not even notice it. I have never been sensitive to words though. I won't give away the plot here but I think you will agree this is not your usual meteor strike, Armageddon book. As they used to say on Laugh In, Verrrrry interesting. I loved the premise of the book and enjoyed the read, overall. The idea of some ancient alien weapon (or is it?) on another planet is intriguing. I had just two small issues with the story. One is that the antagonist tracking the good guys is provided with a remarkably unlikely trail to follow. The other is that the author spends way to much time during the last quarter of the book describing the ordeal of boats in stormy waters. It would normally be interesting, but I kept wanting the author to get back to the ALIEN end-of-the-world plot. Overall, though, a fun story. 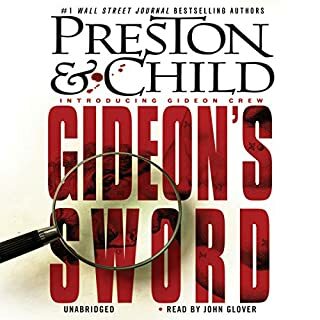 I have read Preston's other works and enjoyed them. While this one has a somewhat weak ending, it is still a nice escape from reality. 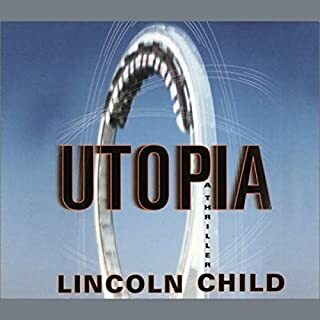 This audiobook is very good, its perfect for using on long journeys or even at work if you can get the time. Story is very detailed and a little predictable. But its worthwhile downloading and once you start listening to it, you wont want to turn your ipod off.